Ok, so here we go! 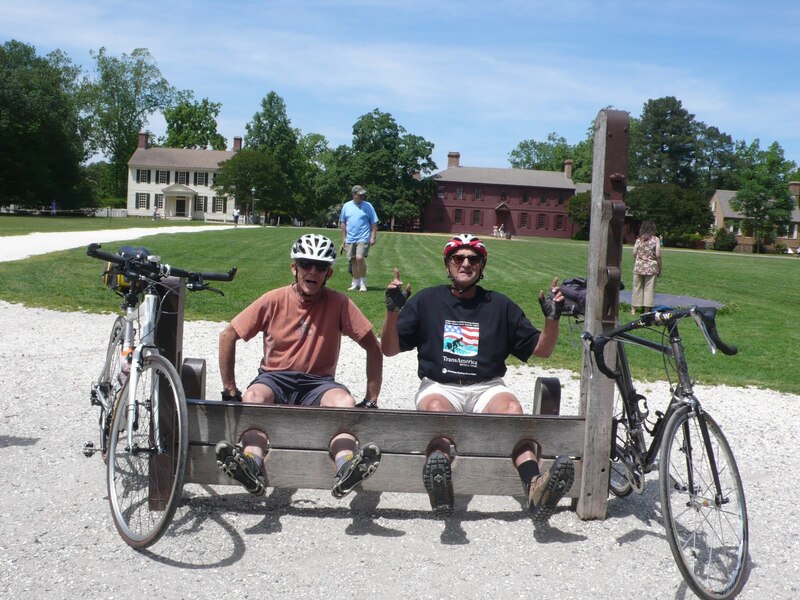 We've assembled our whole Adventure Cycling group here in Williamsburg, VA, and have completed our first map meeting. (a nightly ritual) But before this I had a chance to tour Colonial Williamsburg and see the sights. There's a lot going on here at the moment, as you can see in the photos. First, let me say a huge thank you to my beautiful wife, Pam, for the surprise send off...including this fabulous cake! Thanks also to all who surprised me by coming to the party. The photos show just some of the action in the town today. 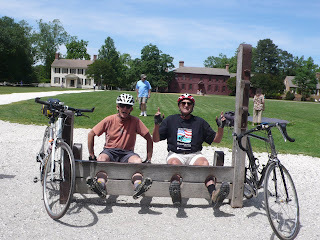 So...the actual ride starts tomorrow...we will ride out to Yorktown, Virginia. (where Washington and Lafayette defeated Lord Cornwallis and the British) At that time we will dip our rear wheel in the Atlantic Ocean and take a B-zillion photos of the event...then we start west to eventually end up in Florence, Oregon. More tomorrow after we ride...stay tuned! Oh, yes, one of the photos shows what they do to you in Williamsburg if you ride your bicycle the wrong way on a one way street! That's where you yanks should be, in the stocks! ;) Amazing picture of the muskets firing. WOW!